Louise Wener of Sleeper joins Nemone to talk about her autobiographical book Different For Girls. Last broadcast on Thursday, 13:00 on BBC 6 Music. 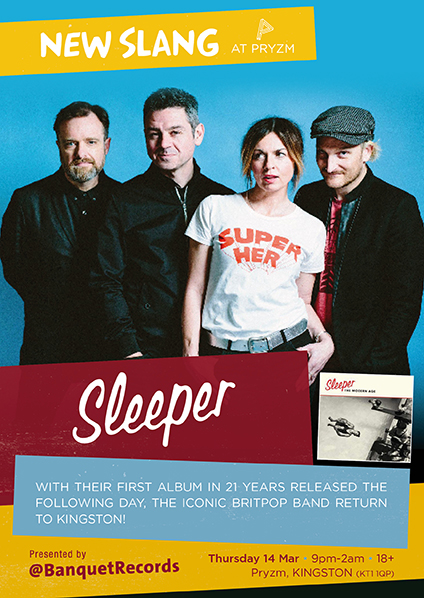 Louise Wener was the lead singer of the band Sleeper and Britpop's biggest female star. She travelled the world at the height of their fame playing to hundreds of thousands and living the high life. In the early 90s Sleeper were briefly lost to a world of glitter, paranoia, comically petty squabbles and warped music industry logic. They had three top ten albums, including the platinum-selling The It Girl before disbanding in 1998. Louise has since written four acclaimed novels and lives in Brighton with her husband and daughter. Her new book Different for Girls is about the embarrassments of growing up and experimenting with who you are and how pop music is both the comic and life-affirming soundtrack that runs through it all.